My absolute favourite place to go for an ice cream treat is Dairy Queen®. 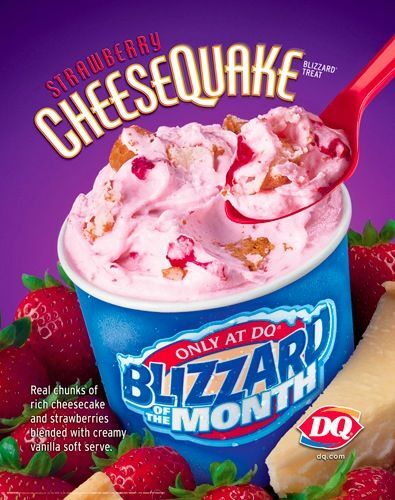 90% of the time, I will order a strawberry cheesecake Blizzard®. My husband will choose a Skore Blizzard® most of the time, and the girls go for the Smarties Blizzard®. My love of Dairy Queen® goes back to when I was a little girl and my parents would take me and my siblings to the local DQ for a treat- and it was a big deal when we went there! Back then and still to this day, my dad likes to buy a box of Dilly Bars to share around. Ok, so why am I writing about ice cream memories today? 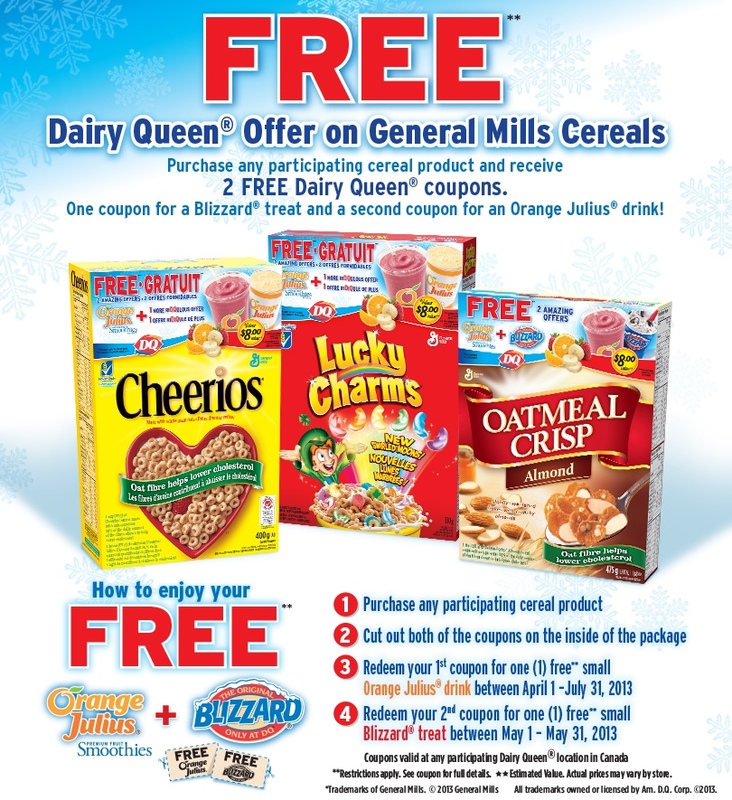 Because I want to tell you that for a limited time, in specially-marked boxes of General Mills cereal, you will find coupons for a FREE Dairy Queen® Blizzard® and a FREE Orange Julius® Smoothie! Who doesn't love free Smoothies & Ice Cream?! You can redeem your Blizzard coupons at any participating Dairy Queen during the month of May and you can redeem your Orange Julius coupon at any participating Dairy Queen from April 1 - July 31, 2013.